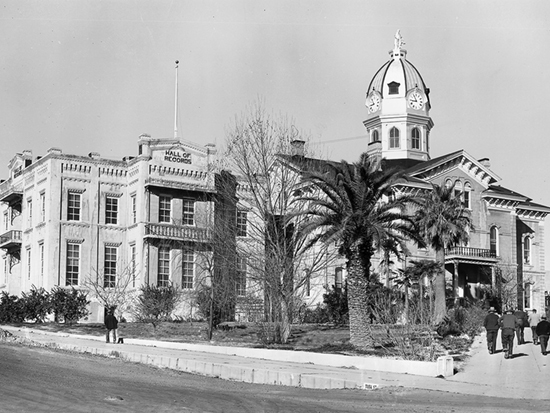 After a new courthouse was built in Redding in 1956, Shasta's third courthouse was used as a county office building until 1963, when it was demolished to make room for a court annex. Locals remember that the tax assessor's office was placed on the upper floor of the building to discourage complaints about assessments. The statue of Justice and the bell from the dome of the old building are displayed on the grounds.